Many of Cleveland’s dearly departed haunt the Forest City to this day. A spirit lingers in the ballroom, and a little girl cries on the third floor of Franklin Castle, the most haunted site in the city. The man in the green hat will not leave the stage at the Palace Theater. Chief Joc-O-Sot still wanders Erie Cemetery centuries after his death, unable to rest in his grave, while a phantom in full Civil War uniform paces inside the Soldiers’ and Sailors’ Monument. 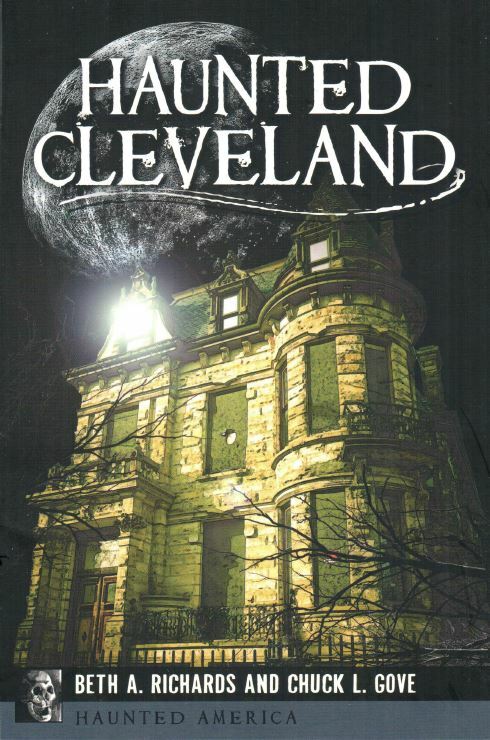 Authors Beth A. Richards and Chuck L. Gove of Haunted Cleveland Ghost Tours share the chilling tales of the city’s spectral past.